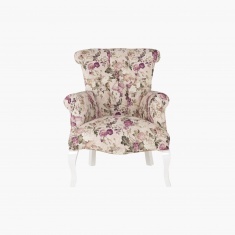 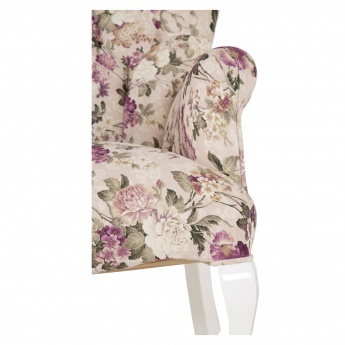 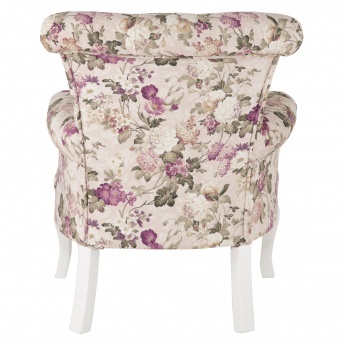 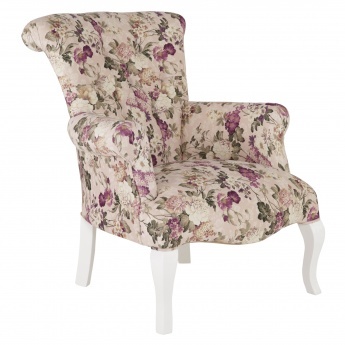 Introduce this snug and attractive floral-printed accent chair to your home and create a fabulous impression. 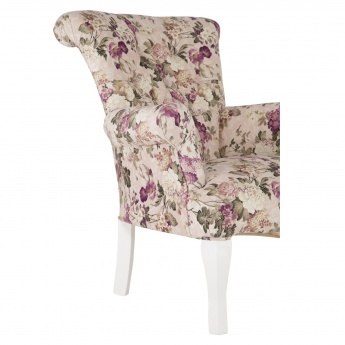 Featuring elastic webbing in the seat cushion, this chair has wooden legs and has a solid wood frame. 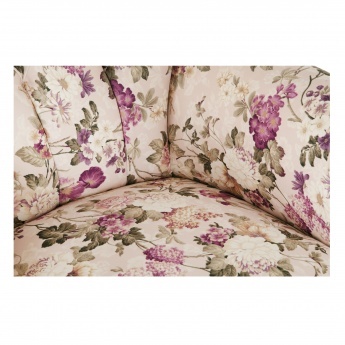 The high resilient foam-filled fabric adds comfort and will give you a luxurious experience.